I enjoy doing mango float because my husband and kids love it. I’ll be sharing my recipe of “Splenda Mango Float” on a different post. 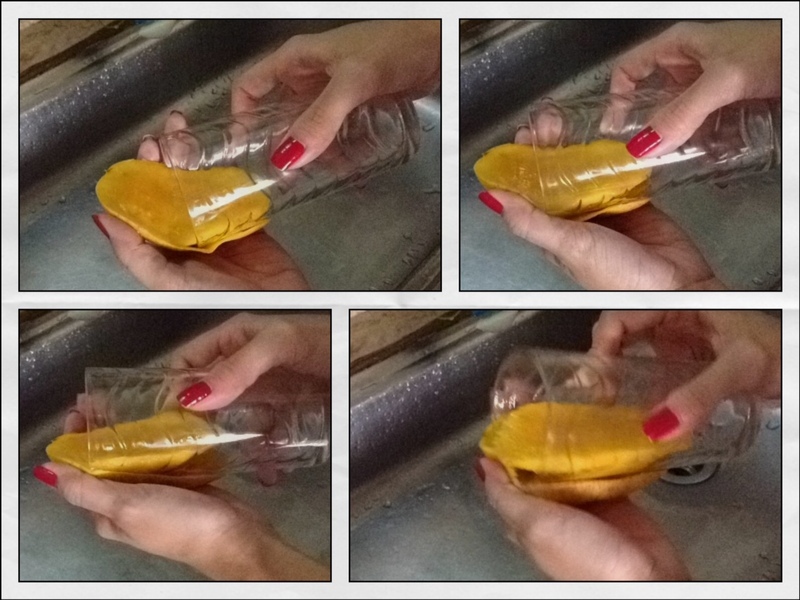 When removing the mango flesh from the skin,slice the mango in half vertically, removing the huge seed in the middle. Then slowly scooping out the flesh from the skin using a table spoon. But when I saw Chef Rosebud Benitez of “Quickfire” using a water glass to scoop out the mango flesh from the skin flawlessly,I never used a knife again. Look at the picture below as reference as to how easy it is to use a glass.